In ongoing private negotiations, the state “will likely” renew the contract to keep the Grand Prix on Belle Isle beyond 2018, DNR chief Ron Olson said at a meeting of the Belle Isle Parks Advisory Committee this morning. 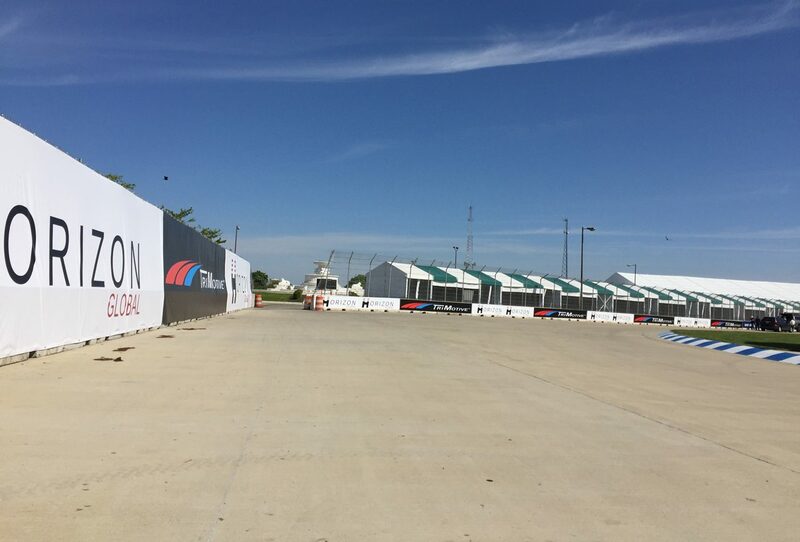 “It’s an iconic event and stimulates the economy of Detroit,” Olson contended, making clear he wants the event to continue despite those who question whether the huge race is an appropriate use for Detroit’s most treasured park. The state took over the island jewel in early 2014 and inherited the contract billionaire Roger Penske signed with the city, which runs for two more years. Olson says the state can’t change anything about the race while the old contract is in force. He now says he’s listening to concerns about the lengthy set-up and takedown times for the event, which essentially close off the most popular western third of the island for the entire spring. Olson said negotiations now seek to “minimize” the impact of the race. Questioned whether the public has any role in a decision on the race, Olson said that “you can’t negotiate with a whole lot of people involved.” He later added there may eventually be “listening sessions” allowing public comment as part of a park “strategic planning process” that the DNR and the Belle Isle Conservancy have been conducting – also out of public sight. In May, the group “Belle Isle-Park or Racetrack?” protested the Grand Prix, and spokeswoman Sandra Novacek told Motor City Muckraker, “The race has nothing to do with what the island is supposed to be.” Novacek could not immediately be reached for comment. Despite months of requests by Muckraker, the DNR has never detailed Penske’s financial contributions to the island, allowing claims that he has contributed $6-$7 million to the island to stand without any documentation. With his comments today, Olson also appeared to buy into race PR that claims outsized economic benefits to Detroit, which are similar to claims about benefits from building new sports stadiums that have been widely debunked. The race has been held in various forms on Belle Isle from 1992 to 2001, in 2007 and 2008, and annually since 2012. It now appears it will continue for many years to come with the full cooperation of the DNR.